Let me tell you about some sewing treasures I would like to own, ok? 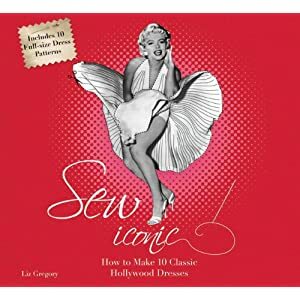 Just stumbled across this book, Sew Iconic, on Amazon and let me tell you, I WANT IT! It has patterns and directions for making famous dresses that Audrey Hepburn, Grace Kelly, Rita Hayworth, and several others wore in their films. I'm crossing my fingers that there will be color photographs included. I know that sounds silly to say, but I bought the book Famous Frocks and was disappointed by the fact that there were no photos, just paintings. Not into that. I want to see real people in the clothes, not imaginary people in watercolor paintings, thanks. I love the Cambie dress in both views. After seeing all the cute versions popping up online it made me realize that it would be such a nice dress to wear this summer and that I need it! Hahaha. My first Sewaholic pattern was the Renfrew and I loved it because of the clear instructions. From what I have read online that is the case with the Cambie. I know that I already posted about this online class at Craftsy for the Sassy Librarian Blouse, but Christine just let me know that it is on sale for $29.99! Love it! And of course I want to have Gertie's book! I pre ordered this one, so when it is released I will have it asap. I haven't looked forward to a book this much since the Colette Sewing Handbook was announced. I have the Sew Iconic book, and I'll tell you it's .......okay. Also, I would say non of the patterns are revolutionary. The ones I am most likely to use are the ones for the simple Audrey Hepburn sheath, or the full skirted Dirty Dancing Dress... that is, if I don't want to use some of the existing patterns I own for those styles. The more complicated designs haven't come across that well in the reproduction, I was particularly disappointed with the Grace Kelly gown from "To Catch A Thief," which is a beautiful dress, but their version...meh! Good to know!!! I will try and look at it before ordering... It's so sad though, the closest bookstore is Barnes and Noble and it's twenty minutes away :( Next time I am in town I will take a look. Are you on the Sewaholic mailing list? I think there is a discount code, so you could get the Cambie for a deal! I saw the Sew Iconic book at Costco today, for maybe $13 or so. It looked fun, but I agree that it seemed a bit costumey. I think the librarian blouse looks really cool. I am just beginning to learn garment sewing after years if quilting, and have been thinking about taking an online course. It looks like a great way to fully learn a piece! Hi, Julie! I am started learning quilting basics and that helped a LOT with garment sewing. I want to take the class because it goes over buttons, something I know nothing about. Good luck with your sewing! thank you for the reminder! 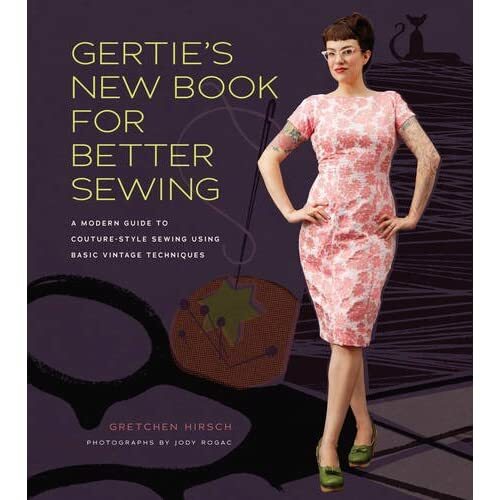 I finally placed my pre-order for Gertie's book--I have been anticipating this book for too long!! Can't wait for it's release :) Maybe a sew along will be in order...? I hope someone does a sew along!! You just added one more thing to my sewing treasures list. The Sew Iconic book looks awesome. Does the book include actual patterns? Already on my sewing treasure list, which I just bought, is the book Drape Drape. It's an awesome book that has really cool garments that drape beautifully. Best part is that the books comes with patterns! 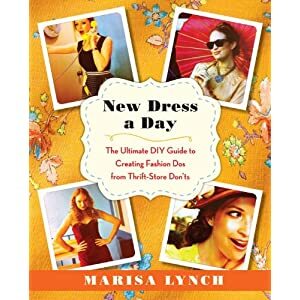 According to Amazon Sew Iconic includes patterns! Ack, I can't wait for Gertie's book, either! I'm waiting on the Cambie dress because I'm buried under projects right now and I need to make some sort of headway with them before I buy any new patterns (we'll see how long I stick with that noble ideal, ha!). But I bet you would look adorable in a Cambie! 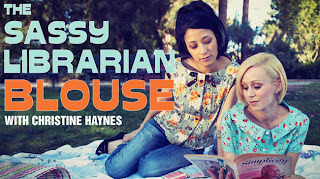 Oh, and the sassy librarian blouse is adorable! Your list is basically mine, too! SO excited for Gertie's book!!! And my Cambie (and Renfrew!) arrived yesterday. I know I'm supposed to be working on my Licorice dress, but... So tempting!